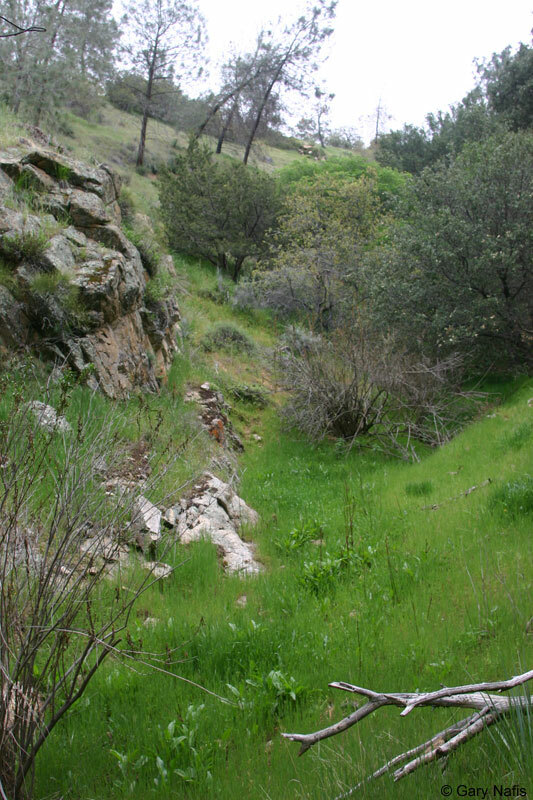 Herpetologist Sam Sweet has made a very interesting well-illustrated public forum post about Tehachapi Slender Salamanders and their habitat, including a shot of the place where the first specimen was found, and a range extension from a considerably dryer habitat than is typically expected for this species. 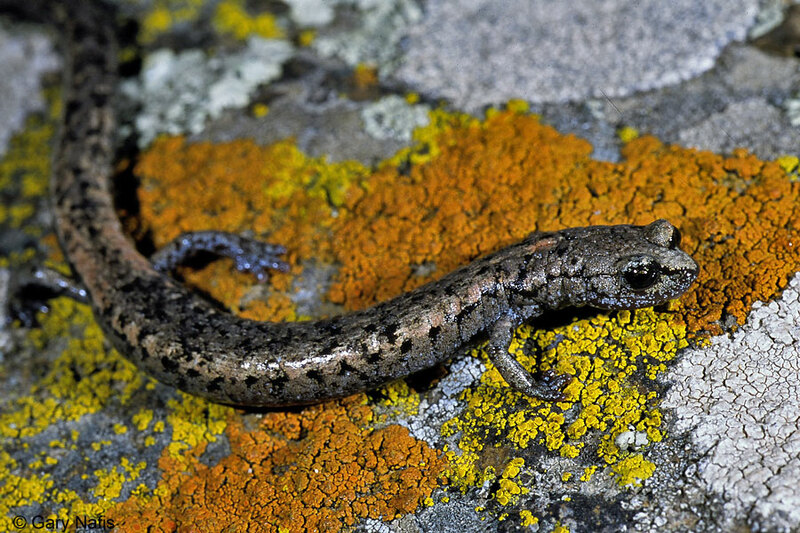 (In 1957, when the salamander was discovered, they actually thought that it was a variation of B. attenuatus!) You can read it and the ensuing discussion here if it's still online. The range of Batrachoseps nigriventris (top) overlaps that of B. stebbinsi (bottom) in a small area in the Ft. Tejon area and the Tehachapi Mountains. 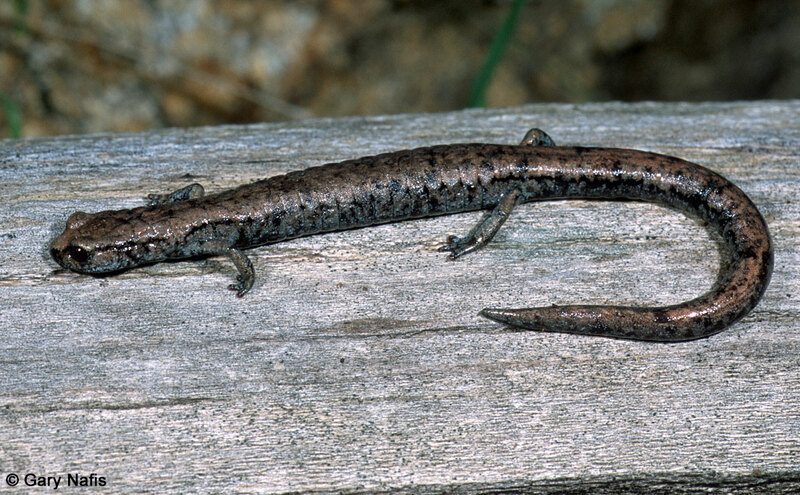 These salamaders were found together under the same rock. The B. stebbinsi here is a bit shorter than the B. nigriventris, but note the much larger legs and toes of B. stebbinsi. 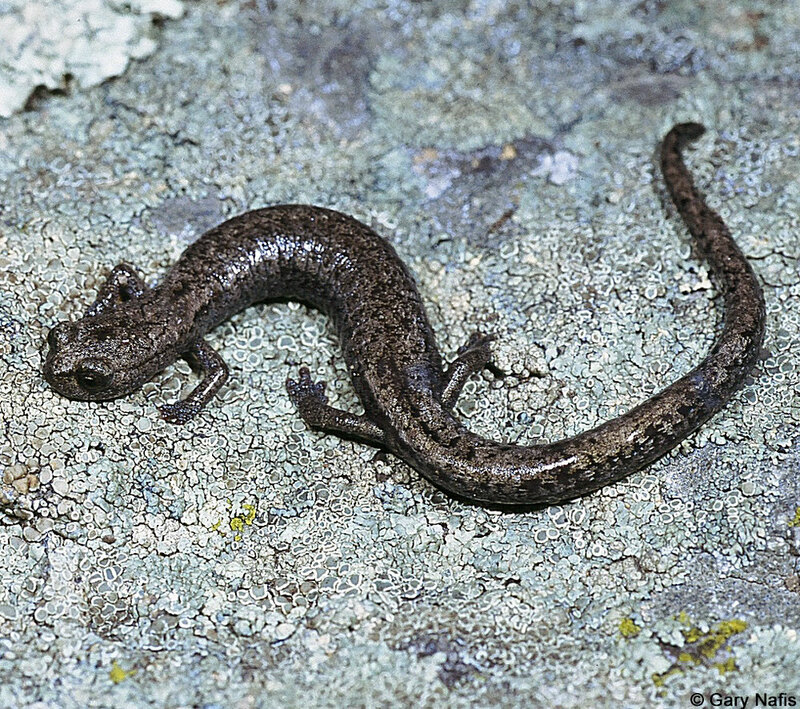 A fallen branch is overturned exposing a Tehachapi Slender Salamander. Adults are 2 - 2 2/5 inches long (5.1 - 6.1 cm) from snout to vent, 3.5 - 5 inches (9 - 13 cm) in total length. 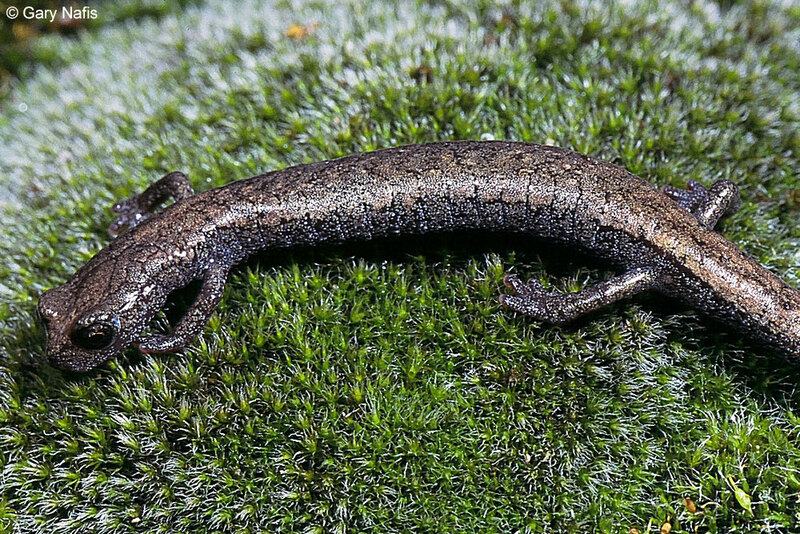 A small slim salamander, with 18 - 19 costal grooves. 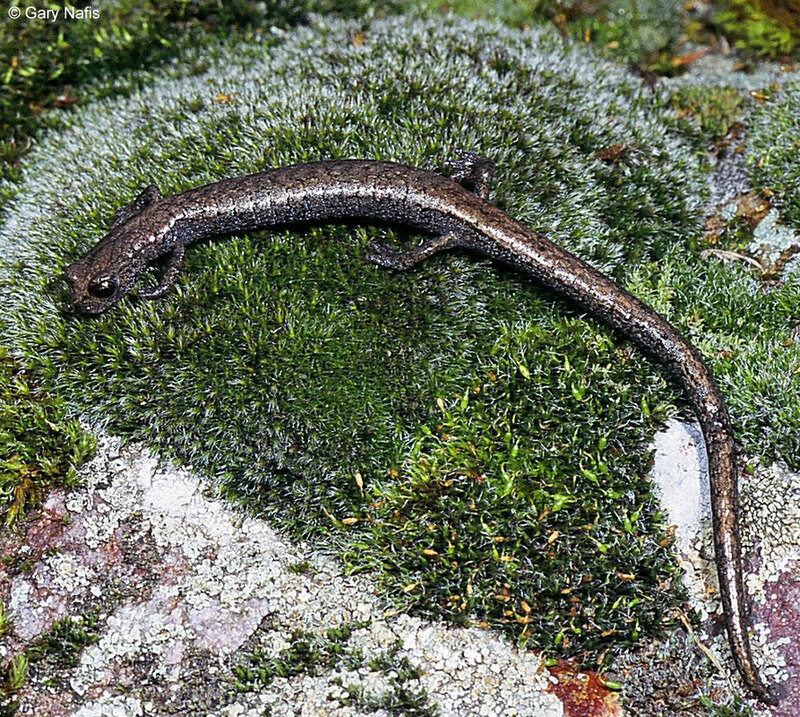 Relatively large and robust when compared with most Slender Salamanders, having a fairly broad head, long legs, broad feet, shorter tail, and toes that appear to be slightly more webbed than with other Batrachoseps species. Color is reddish or brownish. Light beige, tan, black, patches and blotches may form an indistinct dorsal stripe with uneven edges. Coexists with B. nigriventris at several locations in the Tehachapi Mountains where B. stebbinsi can be distinguished by its more robust body with longer legs, largeer feet, distinct toes, and broader head. 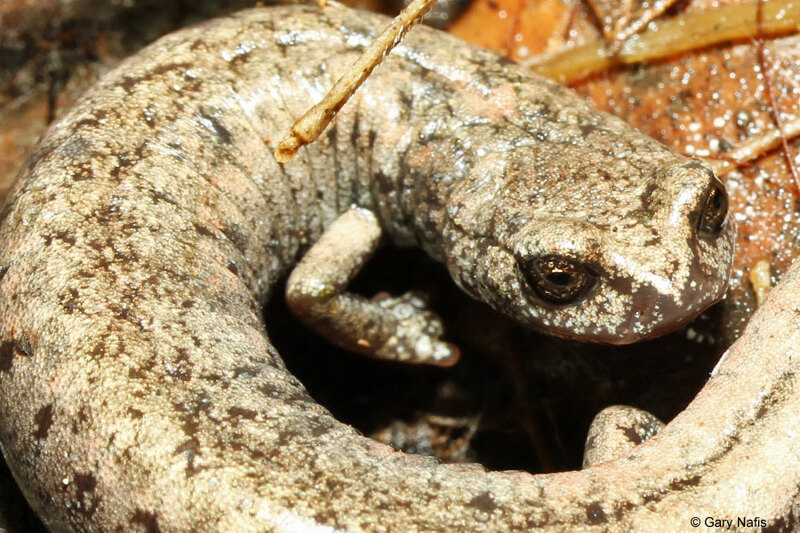 Most Slender Salamander species are active on rainy or wet nights when temperatures are moderate, fall through spring, retreating underground when the soil dries or when air temperature drops to near freezing. Most surface activity for this species has been observed from February to March or April. Breeding and egg-laying probably occurs during the unpredictable rainy period which can occur anywhere from from November to February. Possibly gravid females have been discovered in mid Februrary and early April. 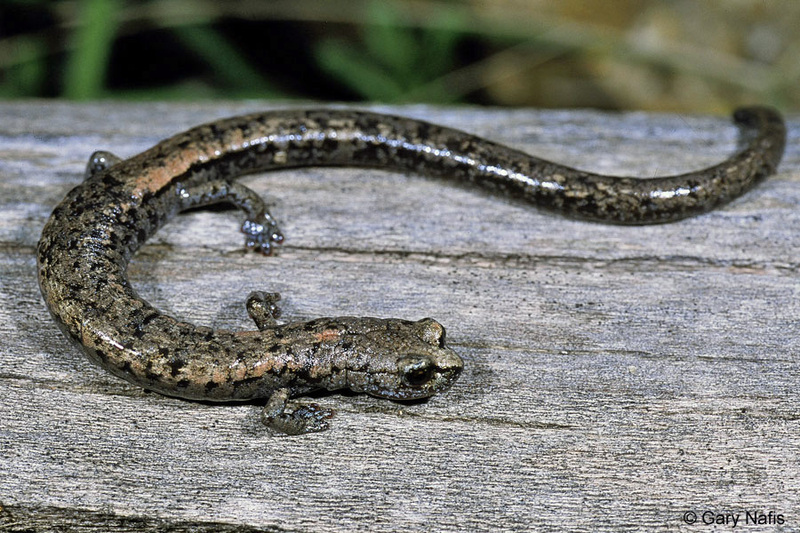 All species of Slender Salamanders lay eggs, typically in moist places on land. 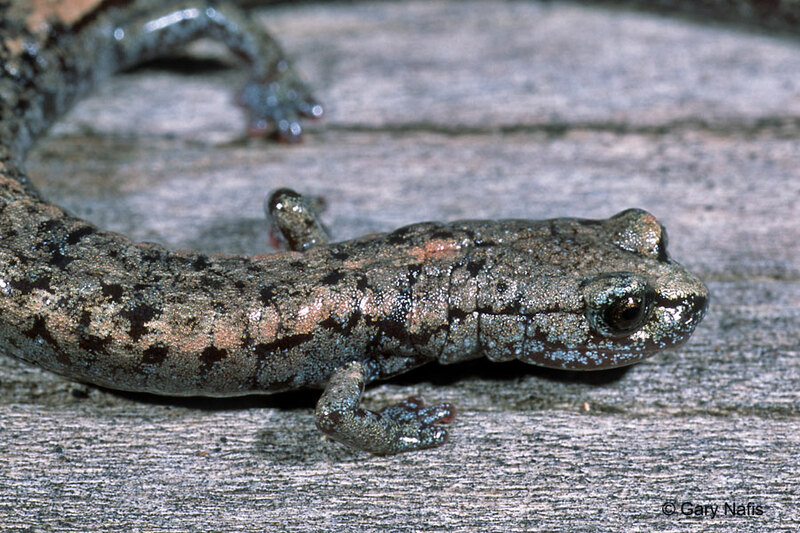 Juvenile salamanders are rarely found, suggesting that they hatch underground at the end of the wet season and remain underground during the beginning of their lives. 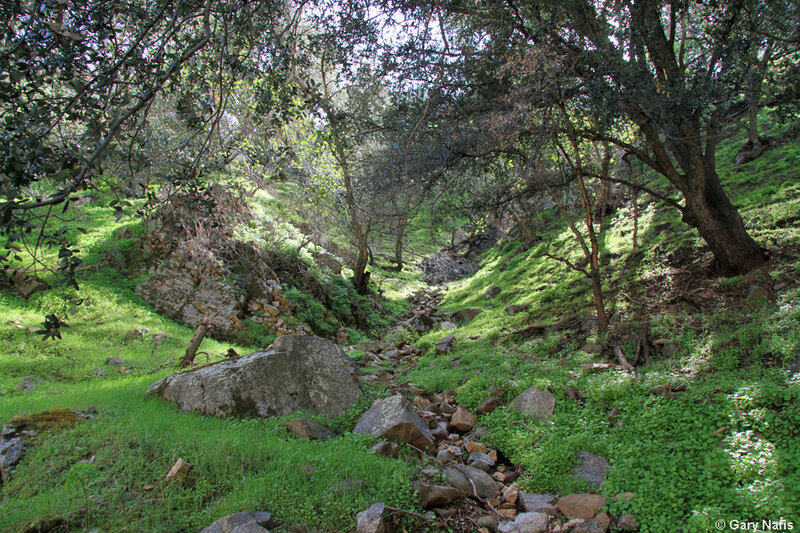 Inhabits north-facing moist canyons and ravines in oak and mixed woodlands in arid to semi-arid locations. Found under rocks, logs, bark, and other debris in moist areas, especially in areas with a lot of leaf-litter, often near talus slopes. Found in scattered populations in the Caliente Creek drainage at the juncture of the Sierra Nevada and the Tehachapi Mountains, and in isolated canyons on the northern slopes of the Tehachapi Mountains from Tejon Canyon to Fort Tejon. 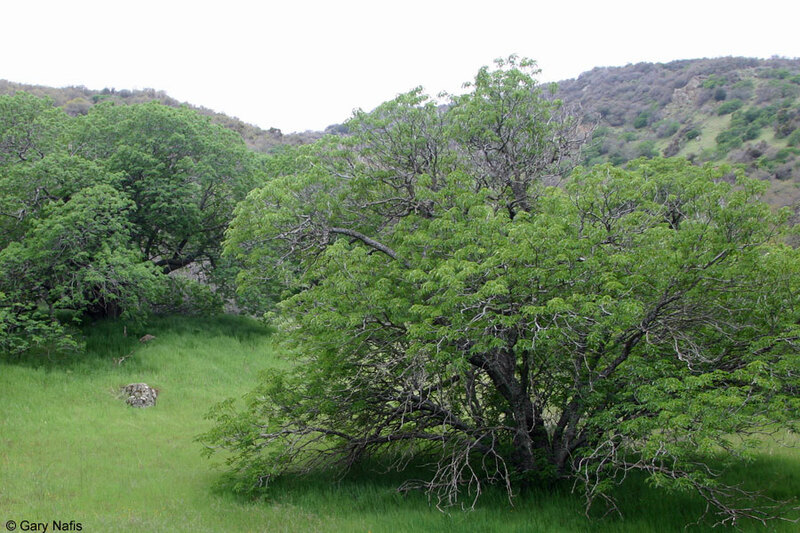 One specimen was collected in 1957 near Tehachapi Pass, but none have been found in that area since. Occurs at elevations of 2,000 - 4,600 ft. (610 - 1,400 m). 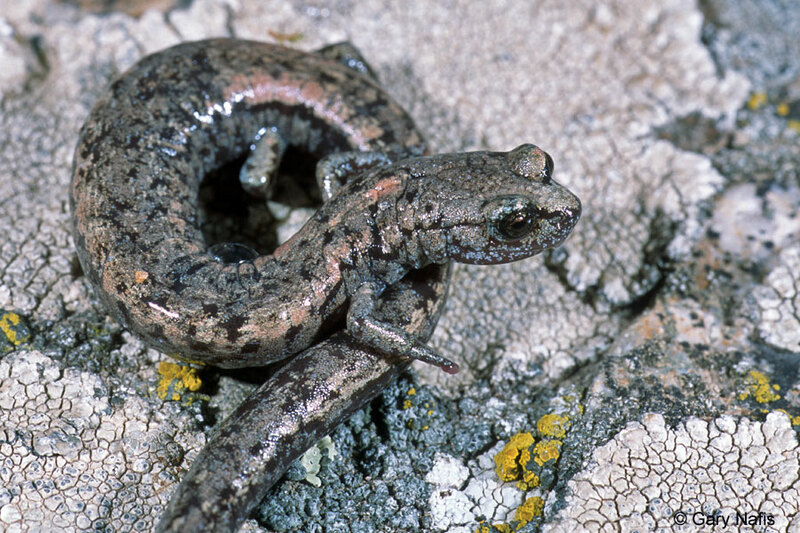 In their species account of B. stebbinsi in Amphibian Declines: The Conservation Status of United States Species, Robert Hansen and David Wake cite unpublished data indicating that "…high levels of genetic differentiation, as well as differences in coloration and size, between the two principal distributional units of B. stebbinsi (Caliente Canyon versus Tehachapi Mountains) strongly suggest that 2 species are represented. (Jockusch, 1996; Jockusch and Wake, 2002; D.B. Wake and colleagues, unpublished data)." 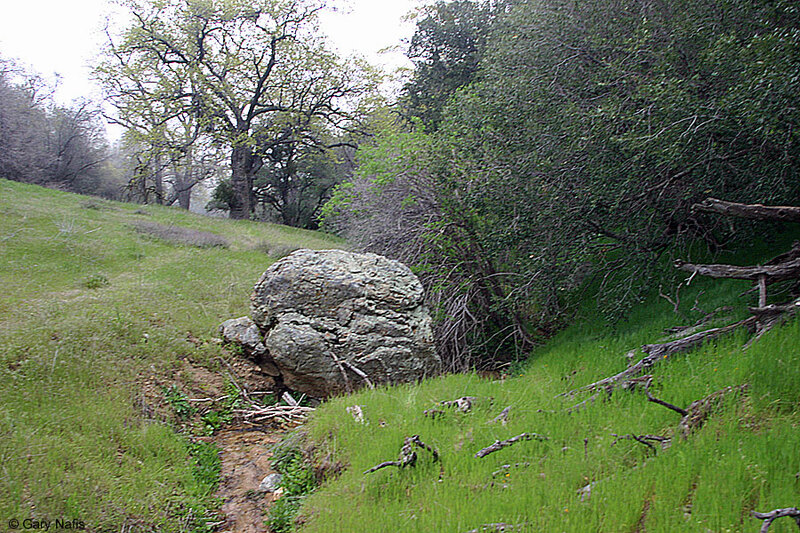 Coexists with B. nigriventris at several locations in the Tehachapi Mountains where it can be distinguished by its long legs, large feet, distinct toes, and broad head. Listed as a threatened species by the State of California because the limited sites it inhabits makes it extremely vulnerable to any changes in its habitat. 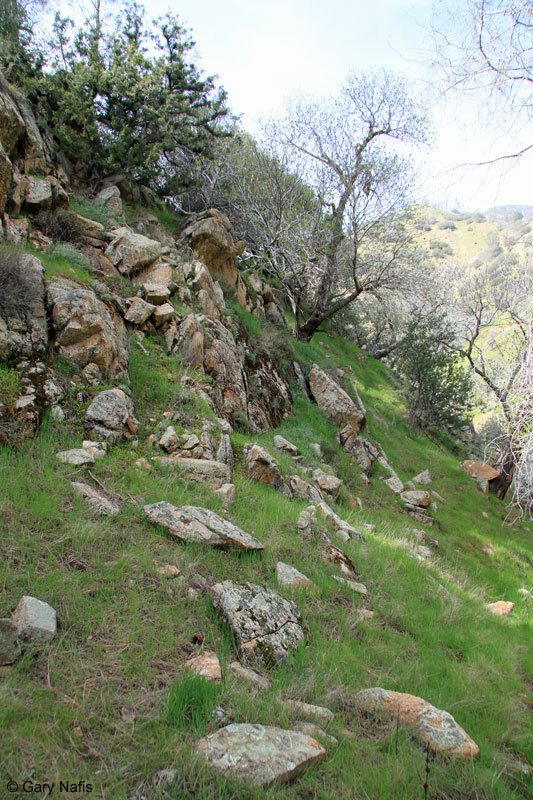 Planned developments in the Tehachapi Mountains could disturb habitat and threaten some populations. stebbinsi: Honors Robert C. Stebbins. Thelander, C. G., ed. 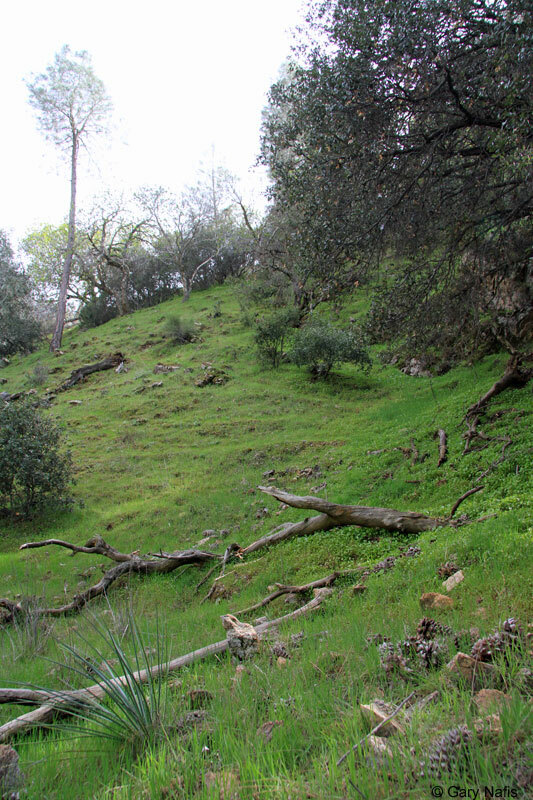 Life on the Edge: A Guide to California's Endangered Natural Resources Volume I: Wildlife. Biosystems Books, Santa Cruz, California. 1994. NatureServe Global Ranking G2 Imperiled - At high risk of extinctiion due to very restricted range, very few populations (often 20 or fewer), steep declines, or other factors.